Here, you have 3 variety, almost vasio (green), medio (orange) and full (red). This variety does not refer to quantity, which will remain at 32 capacity, but rather in the aesthetic form. Hope you like it. Any questions or problems let me know here. Thanks also to Kururi Ahonen, who left the base art, in order to use and build this file, Thank you! This looks really good! 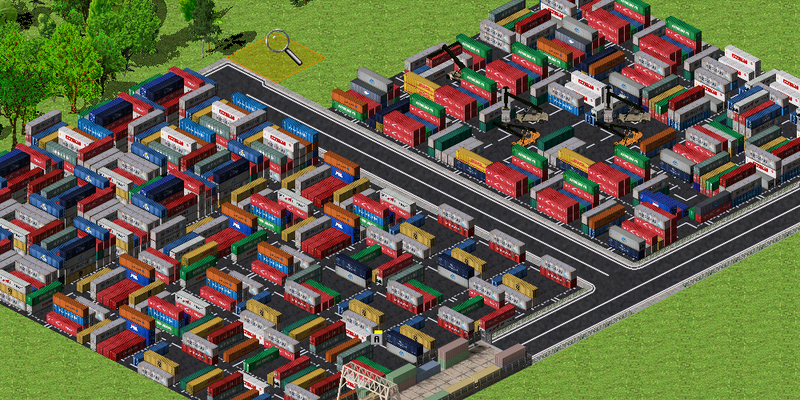 How does it "blend" with the other container-containing buildings and stations? as said above, the '' tool for ships '', serves more to the aesthetic form, thus, to mix in any place. Since the container of the tool set a limit, that only if you have a station or a deposit nearby.